Market preview goes to Members by email for FREE. Join us today! Stocks fell on Thursday after White House economic advisor Larry Kudlow said China and the U.S. were still far away on striking a trade deal. A cut in the euro zone growth forecast also reignited fears that the global economy may be slowing down. “We’ve got a pretty sizable distance to go here,” Kudlow told Fox Business, referring to the ongoing trade talks between the two largest world economies. China and the U.S. have until the start of March to strike a trade deal. Otherwise, additional tariffs on Chinese goods take effect. - Fred Imbert, “Dow Drops 200 Points After Kudlow Says US and China Still Far Away on Trade Deal,” https://www.cnbc.com, February 7, 2019. ...takes place Saturday, February 9, 2019 at 11:00 AM (MST). This is 1:00 PM EST, 6:00 PM GMT: on Saturday, February 9, 2019. The MP4 recording of this event will be available on Monday, February 11. This webinar addressed subjects from this year’s Forecast 2019 Book, with updates on financial markets since the book was written in November 2018. Outlooks for the U.S. stock market, Gold and Silver, crude oil, and currencies (including Bitcoin) were discussed, as well as an outlook on cannabis stocks, the new stock sector darling. If you were unable to attend live, you can still receive the MP4 recording now! A Special Update Report on the Euro Curency Coming Out Tuesday to Our Subscribers! MMA Currency Analyst and MMTA (Merriman Market Timing Academy) graduate Ulric Aspegren has completed an intensive study on the long-term cycles of the Euro currency, via the MMA Market Timing methodology as taught in the MMTA program. In this report he has identified another long-term cycles’ breakdown that explains today’s current Euro Currency pattern, and what it projects for the future. Aspegren has been the ICR (International Cycles Report) analyst on the U.S. Dollar and British Pound since its inception five years ago. His work has been excellent, and he will now be covering the Euro currency analysis for the monthly MMA Cycles Report starting with the February 19 issue. If you are not a subscriber to the monthly MMA Cycles Report or its Dutch translated version named SMT Cyclus Nieuwsbrief>>, and are interested in receiving this special Euro report that will be issued this week on February 11, consider taking out a subscription, even a trial subscription and click the link. SPECIAL ONE-WEEK OFFER FROM MMA & SMT! “Dear Mr. Merriman: For the first time I ordered your book - Forecast 2019 book (e book) and read it in two days. Magnificent analysis from different perspectives, wished I discovered you great work before. Now I realize what was the part I was missing besides fundamental and technical analysis that I use as professor of economics.”. – D. S., Faculty of Economics and Tourism, Juraj Dobrila University of Pula. 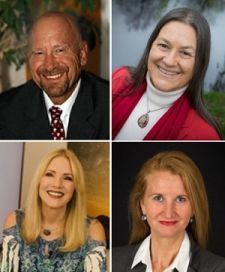 Have you missed the Congress Forecast 2019 & Beyond - the reversal of the current economic cycle? The congress Forecast 2019 and beyond, with presentations by world-renowned researchers and top speakers Raymond Merriman, Karen Hamaker-Zondag, Antonia Langsdorf, Irma Schogt annd John Lowe of Today's Beheer, received very positive reactions and will be followed up, in the early 2020's. We hope to see you then! CAPS is Asset Management that takes cyclical and planetary correlations into account, by MMTA-Graduate and Asset Manager Irma Schogt. The MarketTiming Method is the basis for the investment policy. CAPS seeks to trade confirmed low risk, high yield investment opportunities in the markets, applying a defensive, strict risk policy. Results* for 2018: 4.25% net return for investors. *) Past performance is no guarantee. 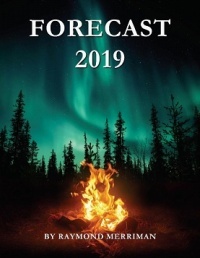 The topics in the book Forecast 2019 are discussed with market updates since the book was written in November 2018. With outlooks of the US stock market, Gold and Silver, crude oil and currencies. The purpose of this column is not to predict the future movement of various financial markets. However, that is the purpose of the Schogt Market Timing & MMA (Merriman Market Analyst) subscription services. This column is not a subscription service. It is a free service, except in those cases where a fee may be assessed to cover the cost of translating this column from English into a non-English language. This weekly report is written with the intent to educate the reader on the relationship between astrological factors and collective human activities as they are happening. In this regard, this report will oftentimes report what happened in various stock and financial markets throughout the world in the past week, and discuss that movement in light of the geocosmic signatures that were in effect. It will then identify the geocosmic factors that will be in effect in the next week, or even month, or even years, and the author's understanding of how these signatures will likely affect human activity in the times to come. The author (Merriman) will do this from a perspective of a cycle's analyst looking at the military, political, economic, and even financial markets of the world. It is possible that some forecasts will be made based on these factors. However, the primary goal is to both educate and alert the reader as to the psychological climate we are in, from an astrological perspective. The hope is that it will help the reader understand these psychological dynamics that underlie (or coincide with) the news events and hence financial markets of the day. No guarantee as to the accuracy of this report is being made here. Any decisions in financial markets are solely the responsibility of the reader, and neither the author nor the publishers assume any responsibility at all for those individual decisions. Reader should understand that futures and options trading are considered high risk.